Alex McDowell RDI studied Fine Art (Painting) at Central School of Art in London, where he collided with the music industry at the beginning of the punk era. He started designing record sleeves and music videos for musicians from the Cure to Madonna, which led to his work in commercials and cinema as a renowned production designer with more than 20 feature films to his credit, working with directors Steven Spielberg, David Fincher, Terry Gilliam, Anthony Minghella, Tim Burton, Zack Snyder, and many others. He is a professor of practice at USC School of Cinema where he directs the World Building Media Lab and World Building Institute, and teaches world building as a media- and platform-agnostic post-cinematic narrative design practice. The mixed reality project Leviathan developed at the WbML in partnership with Intel and Unity was an Official Selection at Sundance New Frontiers in 2016. Alex has written and spoken extensively about the future narrative and world building for publications, conferences and events around the world. He was Visiting Artist at MIT Media Lab from 2005-2010, where he designed the opera Death and the Powers. He is principal creative director at experimental.design, where he and his network of partners build future worlds that engage content and practice for corporate and non-profit clients. 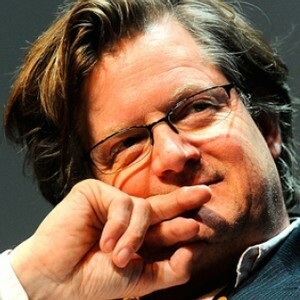 His awards include Royal Designer for Industry by the UK’s RSA (2006), the President's Award (UK Designers & Art Directors, 2013), the Future Voice Award (Interaction Awards, 2014), the ADG Excellence in Production Design (2005), and SDFCS (2002); and nominations for BAFTA (2006), Saturn (2010), OFTA (2003, 2006), and VES (2003). He serves on the IDEAS board at Autodesk, the Freeman Design Council, the Technicolor Technology Committee, the Science and Entertainment Exchange at the Academy of Science.